The RSIPF Commissioner, Matthew Varley has thanked the Fire & Rescue Department of New South Wales (NSW), Australia for the gift of three fire trucks and other equipment which will support the work of the local Fire and Rescue Department. “These three fire trucks and the equipment will go a long way towards assisting the operations of the RSIPF Fire and Rescue. I must thank the assistance that the NSW Fire and Rescue Department has rendered the RSIPF for the past years. The assistance has modernised the RSIPF Fire and Rescue department,” said RSIPF Commissioner Varley. 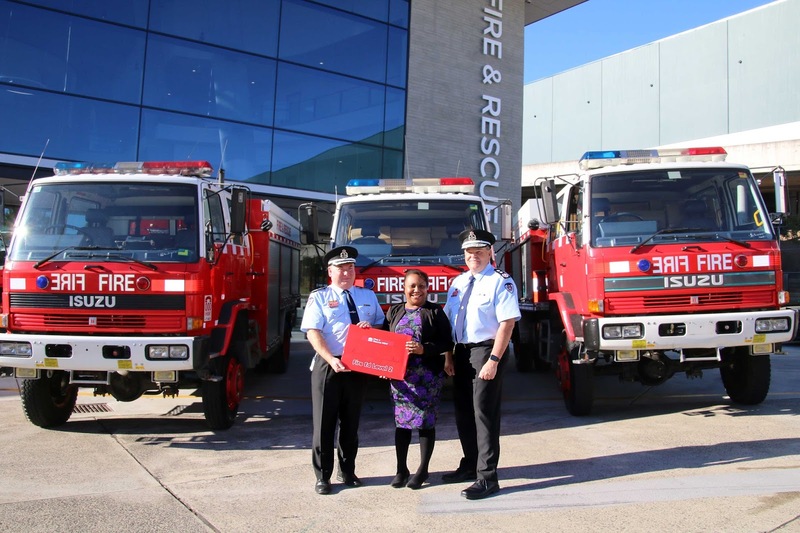 The NSW Fire and Rescue Commissioner Paul Baxter QSO officially handed over the trucks to Her Excellency Fiona Indu, Acting High Commissioner of Solomon Islands to Australia, in a ceremony recently in Sydney, Australia. The trucks are Class 1 Tankers, multi-purpose off road tankers that can carry more water than urban fire engines. FRNSW has also gifted firefighting equipment to accompany the trucks, including 50 self-contained breathing apparatus kits and two mobile air compressors. Commissioner Baxter said the decision to gift the trucks and equipment followed a visit by FRNSW leaders to the Solomon Islands earlier this year to inspect firefighting facilities and assess future requirements. “FRNSW has been part of the Regional Assistance Mission to the Solomon Islands (RAMSI) for the past 15 years, training local firefighters, mentoring station commanders and fire chiefs, and providing much-needed firefighting equipment,” he said. “At the start of this year, FRNSW advisors also helped plan, design and facilitate the opening of a new fire station in Honiara. Speaking during the official handover, Solomon Islands Acting High Commissioner in Australia, Ms Indu thanked FRNSW on behalf of the Solomon Islands government. “These trucks and equipment will go a long way in adding value to the services that our fire and rescue division provides to the people of the Solomon Islands,” she said.